On March 1st my newsfeed exploded with angry moms. 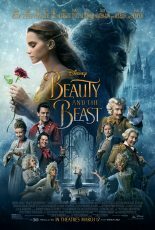 Our beloved Beauty and the Beast is GAY. Well, not exactly. And perhaps that’s where we should start. Is this a “Gay” movie? Or is this just another worldly movie made by worldly people with worldly agendas? Believe me, I’m upset, too. But there is an important difference here worthy of a second look. Al Mohler, at the recent Shepherd’s Conference, summarized this distinction well. He said there’s a difference between culture being infused into a movie and a movie glorifying a particular sin. Gay characters will be the norm in movies from now on. That’s the agenda. The question we should ask is: Does it glorify the sin, or does it discuss/portray an aspect of culture? This is the culture God has appointed for us to raise our children in. We need to know how to live in it and interact with it. Our kids are watching us. Our response to this issue will shape how they live within this culture. As we respond to Beauty and the Beast there are two words that should not characterize us as Christian parents.